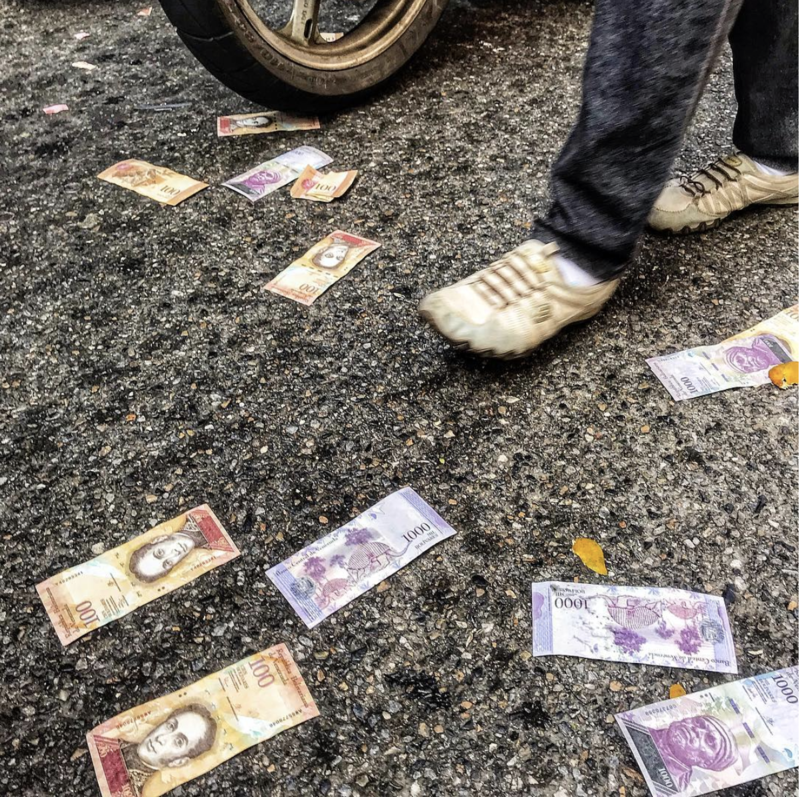 I would gladly drop $50 USD for a fat stack of Venezuela Bolivar. Just for the gag value. Anyone down there hit me up. I can pay in ltc or btc too! I remember throwing money away in Brazil during the dictatorship, with inflation of 90% per month. We all just ignoring our -$17,000 value drop last year then? The streets are paved with… worthless paper. Is it possible to buy bundles of Bolivar? Ebay only has 100 stacks for like $50, which if this is just on the street…definitely isn’t worth that. Nice! I too can lay two pennies in the street.